What have 你 done to "Heal the world"? DO U 爱情 MICHAEL JACKSON? I am healing the world 由 sponsering a child thats from Africa. Africa is a HIV/AIDS-affected area. I am donating money to prevent for the little boy that I'm helping so I could prevent him from getting aids. 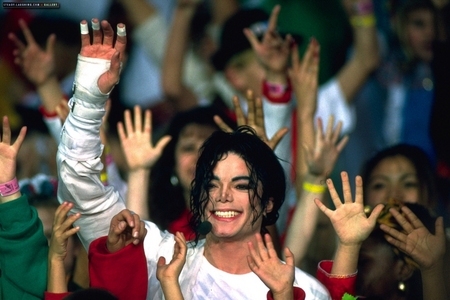 I know that Michael Jackson would be so happy that I'm helping the world 由 saving the lives of young childern. I know that Michael would be very proud if 你 do the same. If 你 want MJ to heal the world to make this a better place. Go on WWW.compassion.com the child would be thankful and will 爱情 you. a poll 增加: Has Michael ever appeared to you? a question 增加: What have you done to "Heal the world"?